Glide into paradise through the world's first immersive virtual reality experience that combines interactivity with live-action footage. 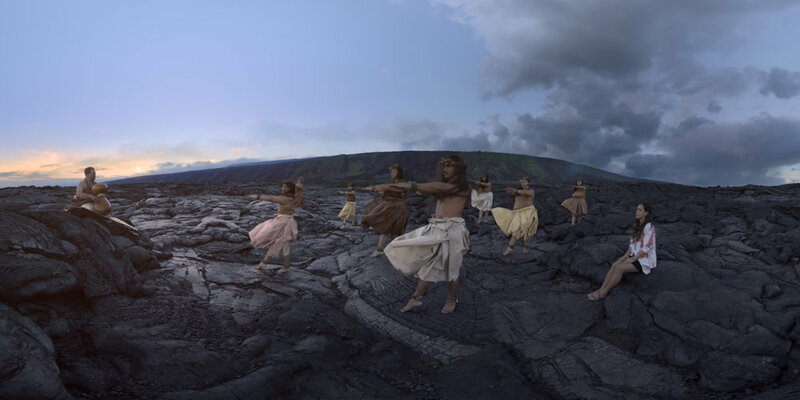 Launching at the Hawai’i Tourism Conference in Honolulu, ‘Hawai’i VR’ combines cinematic live-action footage with virtual interactivity: a unique differentiation in virtual reality content. Hawaii is one of the most beautiful places on earth, often described as paradise. With each of the four islands offering very unique and amazing experiences, it's hard to appreciate and understand what they each have to offer if you haven’t been there. Virtual reality can take people to new places like never before, immersing them in time, space, adventure, and a story that leaves a lasting emotional connection. Our brief from the Hawaii Tourism Authority and OMD was to transport people to the Hawaiian Islands and showcase the unique experiences each island has to offer in ways they never imagined. Our world is based upon experiences, memories, and moments that stand out. We’re full of vacation stories whether exhilarating, rejuvenating, captivating or joyous. We're nothing without these. 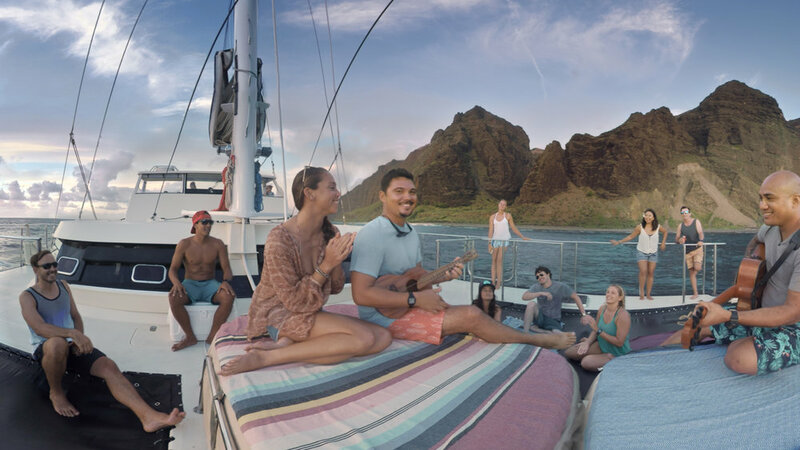 We've created an experience that allows our consumers to be part of the adventure and story, bringing to life the unique experiences that each of the four Hawaiian Islands have to offer. Our goal is to inspire consumers to challenge their existing expectations of the Hawaiian islands and embark upon new adventures. “In terms of creative it was about trying to capture lightning in a bottle,” says Director Murray Butler. 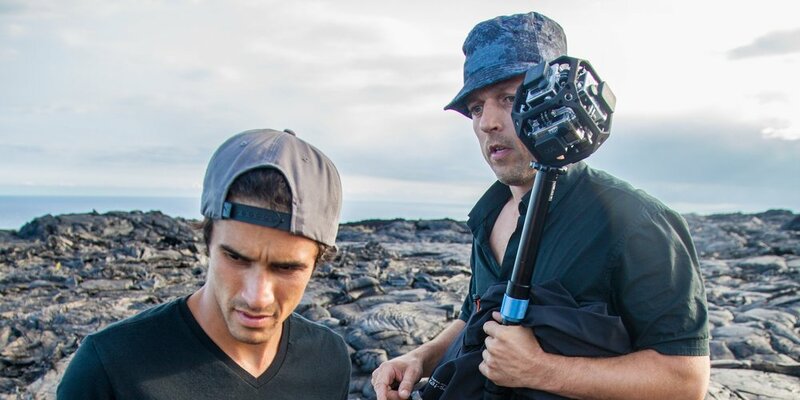 “We were showing off the natural beauty of Hawai’i so we're always at the mercy of the elements. Along with all the variables of light and weather that can affect the cameras in play, we also had to get naturalistic performances from the local celebrities who weren't actors." Consumers float down to one of four unique island experiences tailored to showcase what each island has to offer in ways they never imagined. Using gaze, consumers select one of four islands: Hawaii, Oahu, Kauai, or Maui. Once an island is selected they float down towards that island to get a closer look. 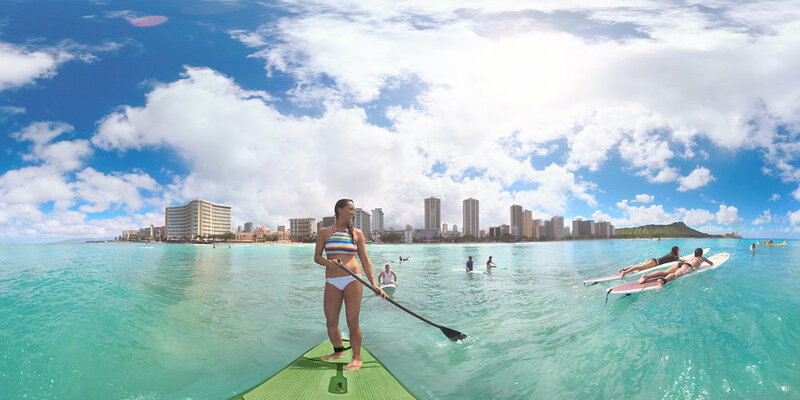 As they approach the island we fade to a 360 live action experience where consumers can enjoy Hula in Hawaii, surfing in Oahu, sailing in Kauai, and wading the waterfalls in Maui. At the end of each experience consumers return to the breathtaking aerial views where they can paraglide around and select another island experience. 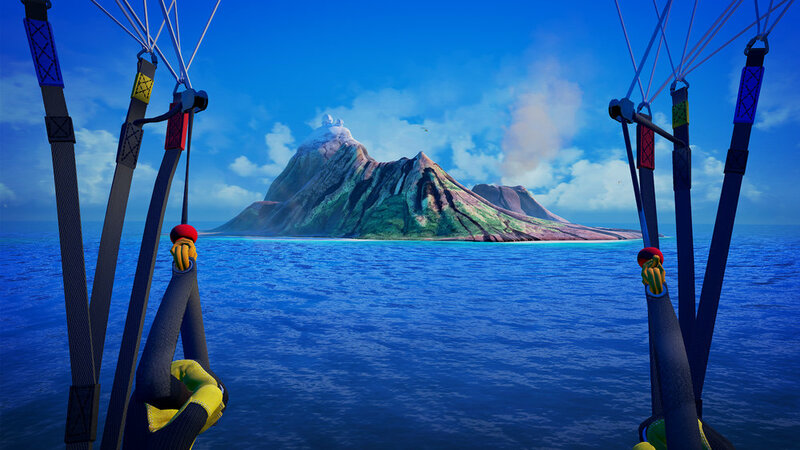 Crafted for immersive tethered platforms the activation launches by inviting consumers to paraglide above the majestic islands of Hawaii. This experience is set as a rich, immersive, breathtaking first person POV. 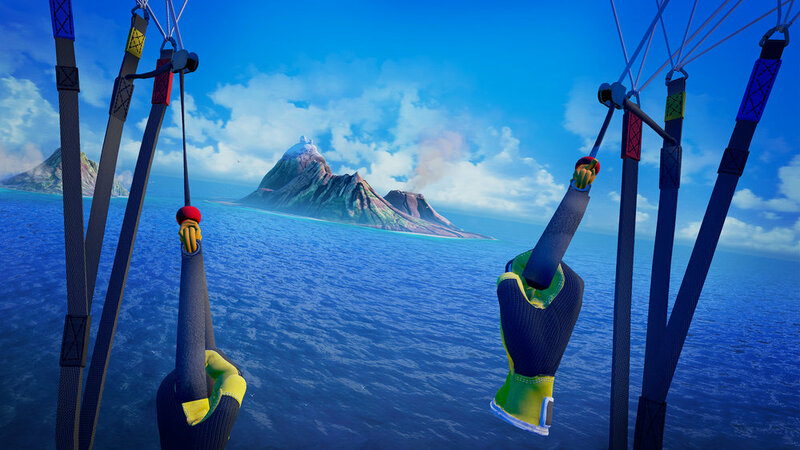 The tethered experience involves a full in-engine paragliding experience that can be controlled by using the Vive controllers. 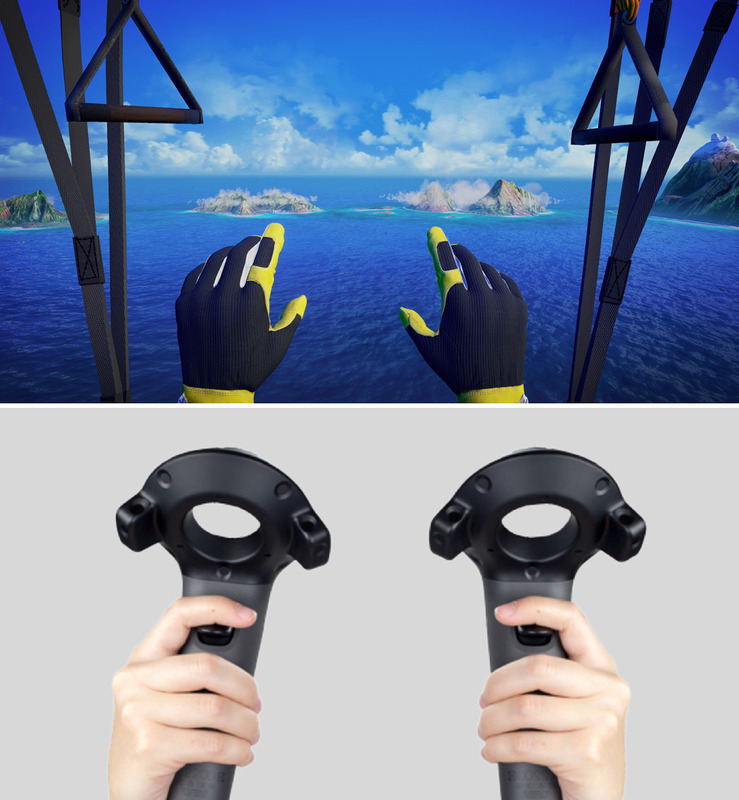 Consumers can hold up the two Vive controllers in front of them - as if the controllers are the handles of a typical paraglider. In the virtual experience consumers see a pair of stylized hands. Pulling on both handles will allow them to control the flight of the paraglider. "The focus of the VR experience has really been to go beyond the frame" says Resh Sidhu, Creative Director of the VR Studio. 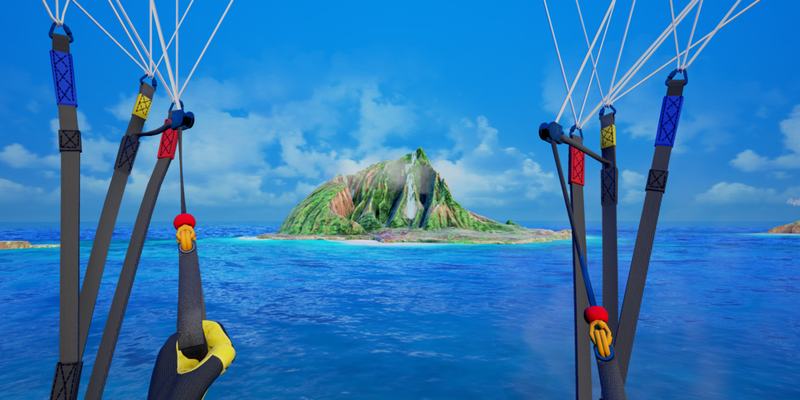 "Our goal was to immediately plant you onto the Hawaiian Islands with completely believable immersion, and go a step further by giving people a high-level of interactivity. The closer you get to the destination, the more excited and emotionally connected you are. Powerful experiences arise when audiences are encouraged to be part of the story - we focused on creating surprise and delight, taking visitors to places even they could not imagine." Customized for mobile headsets the experience has a 360 video-based paragliding experience which utilizes gaze detection to allow consumers to select an island of their choice. Consumers can gaze at any of the four islands and once an island is selected they are guided down towards it to experience an on-the-rails 360 experience. 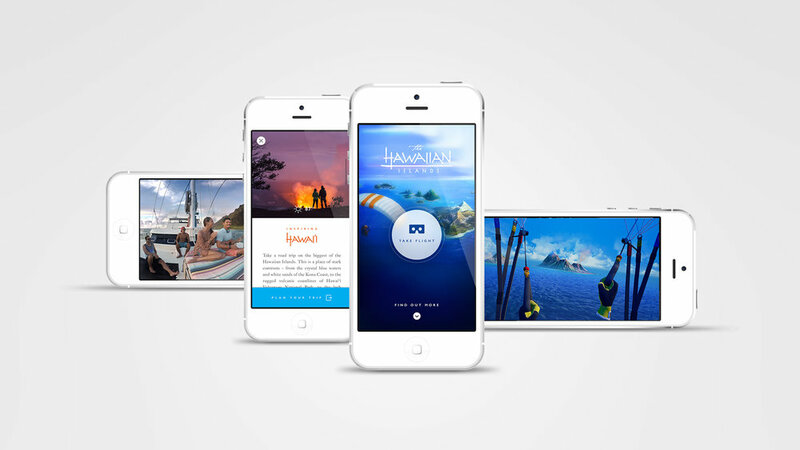 After each unique 360 experience is over, the scene reopens with consumers looking over the breathtaking Hawaiian islands where they are encouraged to further explore and make another selection.